Why are Bitcoin transaction fees so high? Those who use Bitcoin today are getting scared. You can pay a $10 fee to make a single transfer. This makes it unfeasible to use Bitcoin to pay for purchases of small amounts. But why does this happen? What are these fees? What are they worth for? Why are they so expensive? To understand the high value of transfer fees, it is necessary first to understand some basic concepts of the Bitcoin network. Much is said that Bitcoin is a currency that works in a decentralized network. But what does it mean? First, we must understand the opposite. What is a centralized network? In the early days of the web, there was a music exchange service in mp3 format called Napster. The older ones should remember that. It was a centralized P2P network. This meant that there was a center, in this case, Napster itself, which intermediated all mp3 exchanges among the other participants. If this center were knocked over, the whole net would fall. And that’s exactly what happened. After a lawsuit, Napster was closed. Since then, new proposals for sharing files on the Internet have been developed. Bittorrent was one of those that worked. Precisely because it is decentralized. An initial participant creates and distributes a .torrent file that contains information that gives access to a network where other files (movies, music, etc.) can be shared among the other participants of that same network. Each torrent is a network independent of other torrents and without a central point. If the initial participant leaves, the sharing of the files among the other participants continues to work without it. That’s why you can even close some torrent sites like piratebay, but nobody can stop the torrent network. Because these sites only distribute the torrent files. They do not manage connections between the network participants. It is impossible to kill Bittorrent without killing the Internet together. But what does all this have to do with money? Making a parallel, the Dollar is a centralized currency. The center would be the central bank, the federal reserve, the government, etc. This center has the power to control the issue (inflation) of the currency and to supervise/control who can transact with whom. Bitcoin is a currency that does not have this type of center. Each participant is both user and a supervisor of the network. For teaching purposes, let’s imagine someone creating a new type of torrent. It shares a file only. But it’s not a music or movie file. This file is an accounting book containing financial transactions in a new currency that has just been invented and exists only within that book. Participants in this new network not only share this file, but also continue to feed that book as new transactions are performed. This book is called the Blockchain. New transactions are generated all the time by the network users. They group the new transactions into sets called blocks and insert those blocks into the blockchain. That is why the book is called the Blockchain. But why would people leave their computers on 24 hours a day to feed this book with new blocks? This has a cost. There must be some incentive. In the case of Bitcoin there are two ways of rewarding who feeds the blockchain. The first way is with new Bitcoin units. With each block generated, new bitcoins are created to be paid as a prize for that participant of the network that “assembled” that block. That is why they are called miners. For it is as if they were mining these new units of Bitcoin. But for Bitcoin to have value, it needs to be scarce. This is a basic concept of economics. New bitcoins can not be generated infinitely. To solve this, after a certain amount of bitcoins is generated, this reward is halved. And then is halved again. And so on. There will come one day when this reward will be almost zero. Bitcoin was programmed this way. 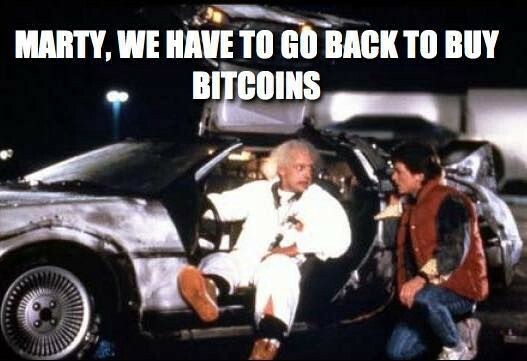 When that day arrives, the amount of bitcoins in circulation will be around 21 million. That’s why we talk about this maximum limit of 21 million bitcoins. Today we already have about 16 million. I’ll open a parenthesis here: When you buy a bitcoin, you are not buying one of the new ones being generated now. But you are buying from someone who already has this unit and is selling (transferring) it to you. I’ve seen some people thinking that they need to buy before the 21 million is over, but that’s not what happens. This limit will not prevent new people from entering the network. Going back to the limit of bitcoins, we have a new problem. When all 21 million bitcoins were generated, how will the miners be rewarded? If there is no way to encourage them to continue mining new blocks, the bitcoin network will die from starvation. Each transaction includes a fee to be paid to the miner. The goal is to get miners to feed the ledger when all bitcoins have already been created. The payment for this work will be the fees that are part of the block that he mines. This rate does not have a fixed value. You can offer 1 penny, 10 cents, a million or as much as you want for transaction fee. We have one more problem. The size of the block. In order for the bitcoin network to continue to work in a decentralized fashion, many miners need to be able to create the blocks. If the block can be very large, the big miners, those with the highest computing power, will include all transactions in a large block and insert it into the blockchain. This would leave the smallest miners out and put and end on the Bitcoin’s decentralized nature. These remaining big miners would have enough power to change Bitcoin’s rules for better or for worse. This would still put Bitcoin at risk of being overthrown, just like Napster, because it would suffice to overthrow these big miners (centers). And that is why the block has a limited size. In addition, a new block can only be generated every 10 minutes, because if the blocks are generated very quickly, it would be more difficult to keep all network participants with the blockchain synchronized. Size and time limits create a bottleneck for the amount of transactions that can be made at a given time. Nowadays, with increasing popularity and demand for bitcoins, there are transactions being created at a much faster speed than the network can process. While a block contains around 2,000 transactions, sometimes we have more than 100,000 transactions waiting for an opportunity to enter into a block to be considered official or confirmed. Miners are then free to choose which transactions they will include on the block. And what criteria do they use to decide that? That’s what you thought. 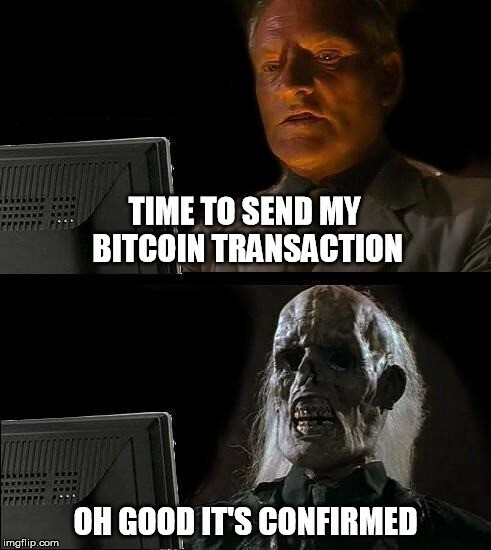 They choose the transactions that pay higher fees. With a waiting list of 100,000 transactions, if you want your transaction to be processed quickly, you need to pay a fee that puts you in the top positions of that ranking. I said earlier that you can choose how much fee you want to offer, but most of Bitcoin’s wallets already do this calculation automatically so your transaction will not wait forever to be processed. Transactions are competing against each other to see who can get there first. And that’s why the fees are so high. Bitcoin loyal users believe this is a temporary problem. There are solutions being tested so that more transactions can be processed without the decentralization of the network being put at risk. In the future, it is expected that the network can withstand the demand. This is very important for Bitcoin to continue to grow and appreciate.